We rarely pull out cook books anymore due to the ease of the internet. I usually haul my laptop or the ipad (if I can find it because the kids tend to swipe it) into the kitchen to pull up a recipe. This is not always convenient or good on the laptop or ipad, which can get sticky and gooey in the kitchen. So, of course, I set out to fix that. 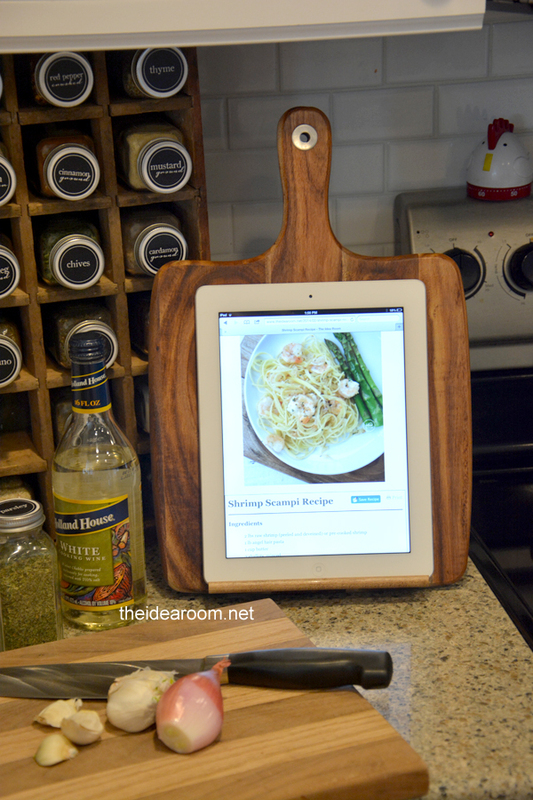 I made a VERY simply iPad holder to use in the kitchen. 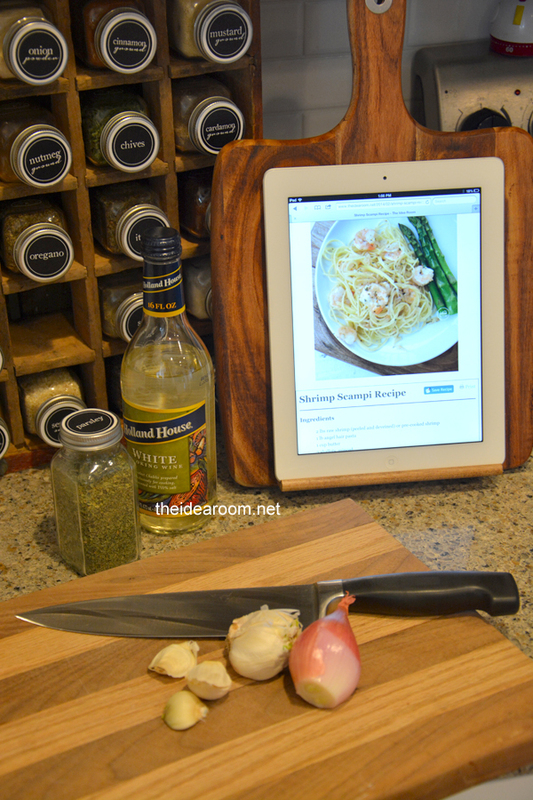 I simply took a wood cutting board that was larger than the ipad and added a couple pieces to turn it into an ipad stand. I simply cut a piece of wood scrap into a triangle on my ban saw. This piece will be glued onto the back of the cutting board and will be the support and hold it steady. 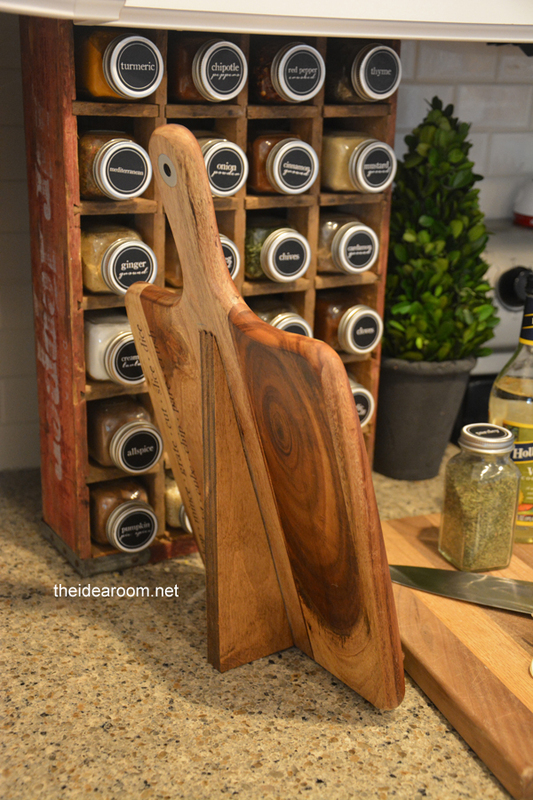 It needs to have a bit of an angle on the back…the more angle, the more your cutting board will lean backwards. Adjust this according to your needs and preference. Stain the triangle and the Scrabble game piece holder and let them dry completely. Glue the triangle onto the back so that the bottom of the triangle rests against the counter. Let that dry completely. Then glue the game piece onto the bottom of the front of the cutting board so that it is centered. Let it dry completely. That. Is. It!! Isn’t that one of the easiest tutorials? And that Elmer’s Krazy Glue is some good stuff, it’s Krazy strong, Krazy fast! I was really impressed with how well it held and with how quickly it bonded. I seriously took these pictures within 15 minutes of making this (apparently I have no patience). The applicator tip for the glue allowed me to easily place the glue right where I wanted it. I LOVE it! We have already used it a few times to cook from. It makes it easy to have the recipes right on hand and at an angle that is easy to read and follow while you are in the middle of baking or cooking. My kids have even used it while doing homework on the kitchen table. I am also thinking it will come in handy for a relaxing bath when this momma needs some alone time. 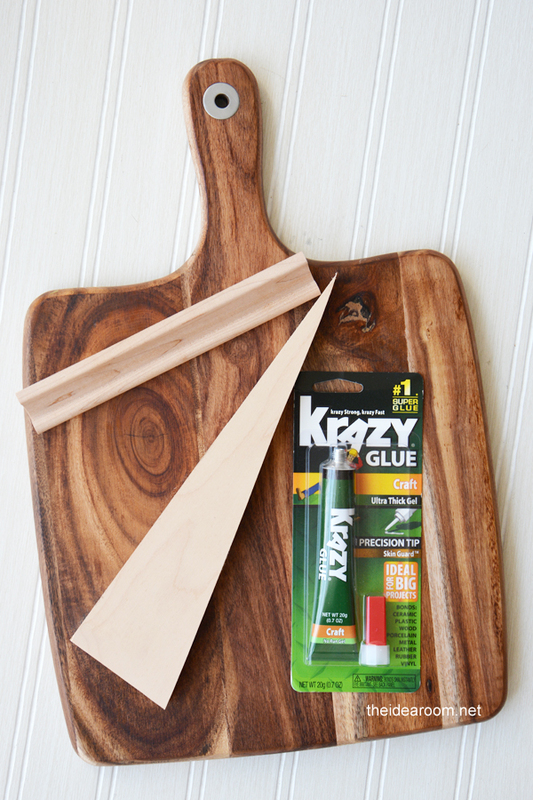 What would would you use Elmer’s Krazy Glue for? Need some more ideas? Check out the Krazy Glue Pinterest Board for more inspiration and for some creative ways to create masterpieces in minutes. I love that you used a scrabble tile holder! Ingenious! I want one. THank you Kendra! We are doing it all the time now too!! 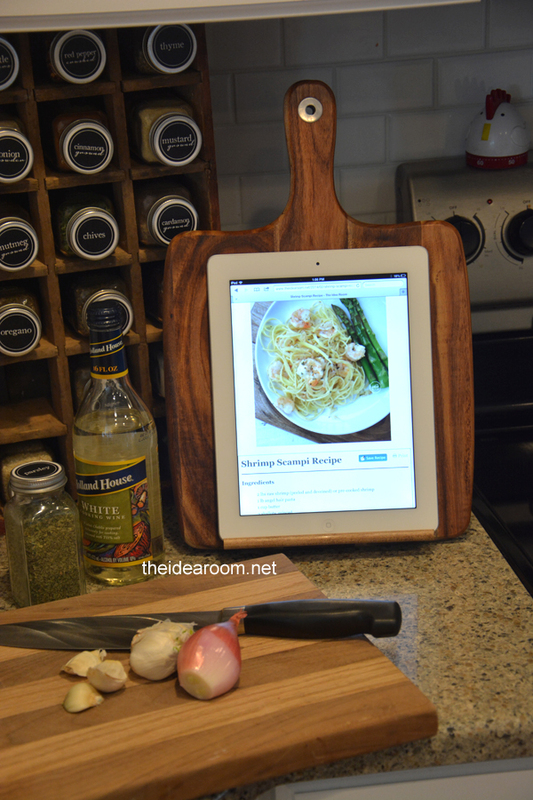 You should market these kitchen iPad holders! Great idea. I could see them in a William Sonoma catalog. 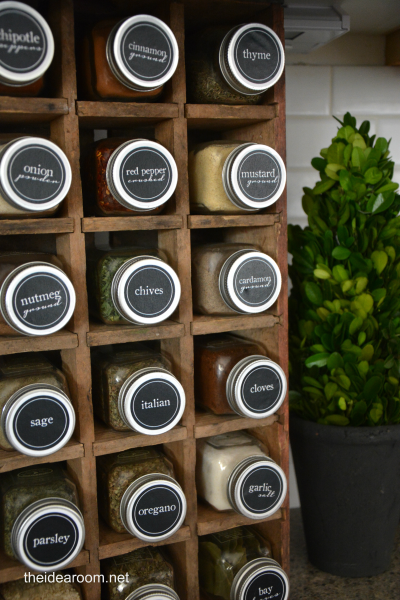 I want to do this, but where can you find a random Scrabble tile holder? Can you buy those somewhere?? I picked up an old Scrabble game from the thrift store for $1. Love this idea. My laptop is always covered in food!!! haha! Blogger problems…same with my camera! Incredibly smart, Amy! I love it! This is great! 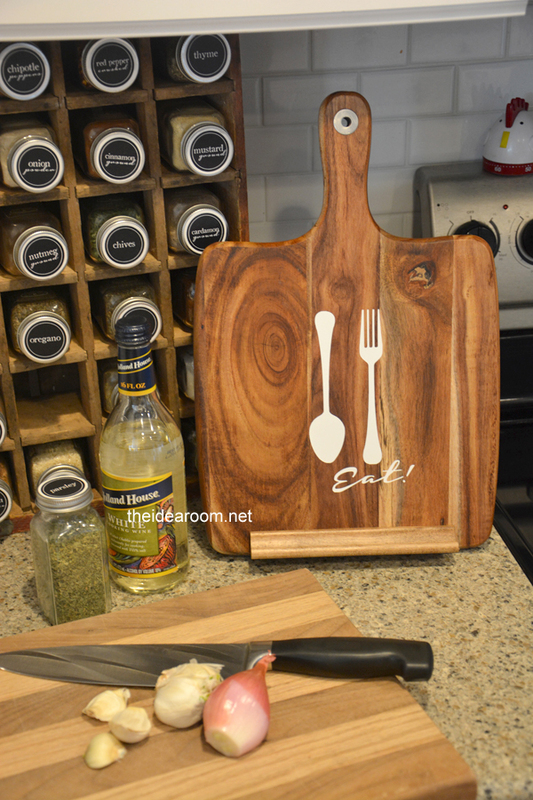 What size cutting board did you use? Hey…great idea…where’d you get the vinyl decorations and how can you make this a laptop stand? Lowering the back triangle piece?